We have been working with Warner Bros and through them the Stanley Kubrick Foundation, to produce a set of stamps for the Isle of Man Post Office marking 50 years since the release of 2001: A Space Odyssey. We have created stamps and a stunning range of merchandise that is respectful of the genre, the film and its makers, as well as the millions of fans in the UK and beyond. 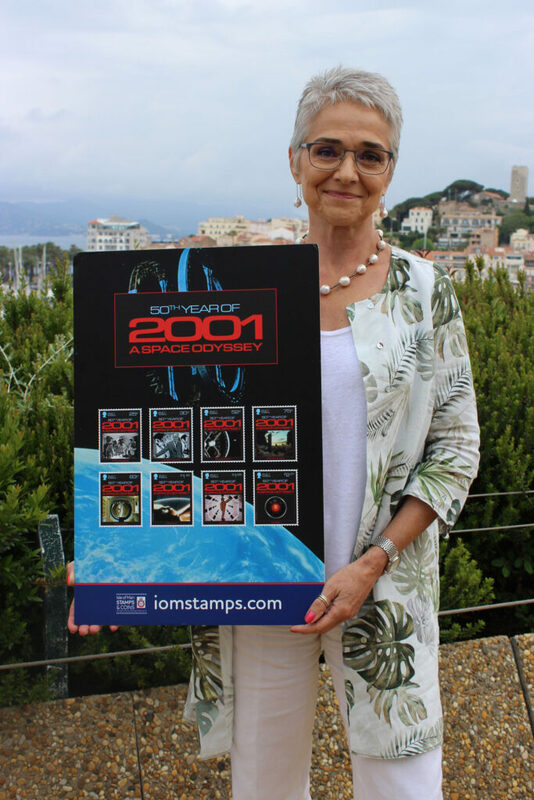 In true Kubrick style, each of the 2001 stamps contain hidden secrets, a message embedded for fans to find. The series of eight stamps depict some of the most iconic imagery from the film; Kubrick himself, author Arthur C. Clarke from whose short story the film was adapted, the ‘Monolith’, Star Child, Dr. Dave Bowman and, of course, the HAL 9000, the errant AI. 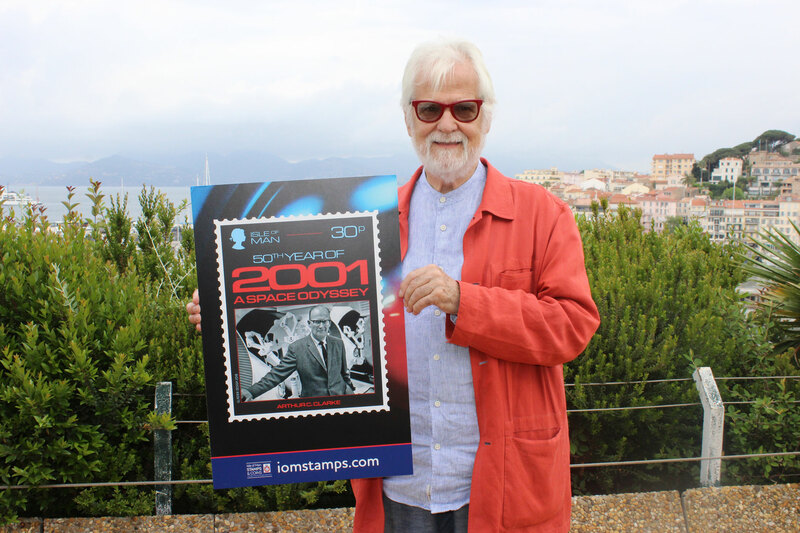 Kubrick’s family, including his daughter, Katharina Kubrick, and longstanding producing partner and brother-in-law, Jan Harlan, were in attendance for the special screening of th 70mm version at Cannes, as well as star of the film Keir Dullea, and are pictured with the stamps. We have been very privileged to have worked on these stamps and they follow our continuing theme of space that started with stamps for Professor Stephen Hawking, then getting a stamp into space aboard the ISS, now into a time-warped possible future that it is supposed to be in our past. We are getting used to the concept of time not being a fixed point. We hope the millions of 2001 fans around the world enjoy them as much as we have enjoyed making them.